The professionals of Sinnott Wealth Management, Inc. provide independent, comprehensive wealth planning solutions to affluent individuals, medical professionals, athletes, business owners and small to medium size corporations. We are committed to helping our clients achieve their long-term financial goals. Our customized programs are designed to help grow and preserve our clients’ wealth by delivering an unprecedented level of personalized service. We believe that our clients should be in full control of their wealth. We understand the highly complex nature of the financial affairs of today’s affluent. Working with your advisors and our own highly specialized advisory network, we are well positioned to provide our clients with a holisitic approach that allows them to assess how one financial decision will affect their entire financial situation. In our role as trusted advisor, our goal is to coordinate those activities which optimize financial results for our clients, while providing the utmost integrity and confidentiality. To learn more about how Sinnott Wealth Management can help you achieve your financial goals, click here to view our demo. We are introducing to select clients the “Sinnott Wealth Management Solution.” This solution provides a single access point where you can easily view all of your updated financial accounts as well as tax and legal documents and insurance coverages. To log onto your personal wealth management website, click here. In today’s challenging economic, tax and litigious environment, we believe the need for seasoned and competent advisors is a must for financial success. We invite you to explore our site and learn more about the services we provide. 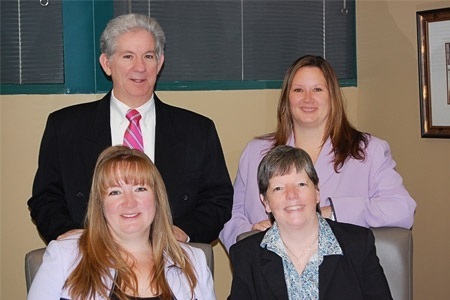 Should you have any questions, or if would like more information about our firm, please feel free to email us at [email protected] or call us at 914-909-1524. We look forward to hearing from you. Becoming a client with us is easy. Securities offered through Kestra Investment Services, LLC (Kestra IS), member FINRA/SIPC. Investment Advisory Services offered through Kestra Advisory Services, LLC (Kestra AS), an affiliate of Kestra IS. Sinnott Wealth Management is not affiliated with Kestra IS or Kestra AS. Kestra IS and Kestra AS do not provide tax or legal advice and are not Certified Public Account (CPA) firms.